There are not many things better than watching your favorite team win a game and winning some extra cash through legal Indiana sports betting. Though the laws have not been added to the state constitution just yet, the state is still full of eager sports fans who are ready to lay some money down. Fans who cheer for their favorite team or against their opposing team still have options when it comes to legal sports wagering even though there are not any land-based sportsbooks in the state. Without violating any state laws, you are able to bet on sports legally by using offshore sportsbooks. Generally, residents are unaware of the ability to do so thinking all forms of sports gambling are illegal. However, federal laws changed in 2018 that allowed states to legalize and regulate the industry how they saw fit. A trip to one of the states that have brick and mortar sportsbooks is not necessary, as there are dozens of legal sports betting sites that offer the same betting odds and more. Our goal is to provide you with all of the options to lay your money down as well as review the state laws and potential law changes in Indiana. Once you are familiar with this, you will have no worries when betting on the Hoosiers to win at Memorial Stadium. 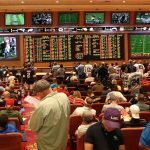 Is Land-Based Sports Betting Legal In Indiana? Because sports betting laws have not been passed, there are no land-based sportsbooks in Indiana. This is set to change as a former federal law known as PASPA controlled the gambling industry making all forms of sports wagering illegal in the US. As this law has been overturned by the Supreme Court, states are starting to create their own regulations and Indiana is not far behind. This opens up many opportunities to for legal Indiana sports betting to expand from their existing riverboat and Indian casinos as well as racetracks . Is Online Sports Betting Legal In Indiana? There are also no in-state platforms currently operating and Indiana Code actually suggests online gambling is illegal. However, this is more so for using an unlicensed in-state platform and the state brought forth a bill in 2018 to authorize a state-run online betting platform – it was never called to a vote. However, you can still use an offshore sportsbook but be sure to use one that is licensed and regulated by its home country. Stick with a reliable platform that has trusted reviews and has been in business for over a decade. Legal Indiana sports betting is possible but you must use an offshore sportsbook to do so. When you join one of these sites, they offer great welcoming bonuses and constantly run promotions for existing players to keep you satisfied. Bovada.lv, SportsBetting.ag, BetOnline.ag, and 5Dimes.eu are the site we recommend as they have proven their reliability, being the best in the game while also offering a mobile betting app to allow you to wager on the go. They are all free to join and accept various deposit methods such as credit card transactions and even popular cryptocurrencies like Bitcoin, Ethereum, Litecoin, and more. 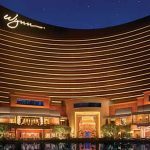 Every sports betting site brings something different to the table to make them unique and even offer promotions and bonuses that land-based Las Vegas casinos can’t offer. If you are looking to start gambling and want a site with a low minimum, check out 5Dimes.eu as they allow for $0.50 wagers on sports betting lines. If you have a strong cryptocurrency wallet, look into SportsBetting.ag or BetOnline.ag as they offer a handful of promotions for depositing with crypto and can even return your winnings with Bitcoin, Ethereum, Litecoin, DASH, Bitcoin Cash, and more. As for Bovada.lv, they are the most utilized site in the country as they provide their betting lines very early and have a platform that is extremely user-friendly and reliable. Indiana is seen as a pro-gambling state as they allow for various kinds of gaming. Riverboat gambling is legal along Lake Michigan, the Ohio River, and Patoka Lake; moreover, the two horse racing venues allow for pari-mutuel wagering. There is definitely not a shortage when it comes to accepted forms of gambling, which their rules and regulations can be found in Indiana Code § 35-45-5. As for sports betting, the state has yet to create any legality or regulations regarding its industry and still holds an illegal status. Feel free to wager online with an offshore account that is fully licensed as state and federal laws have no jurisdiction overseas. Another thing to look out for is professional gambling which is operating a book or accepting bets on behalf of others which is classified as a felony. 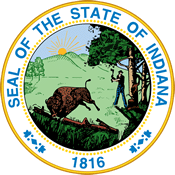 Indiana does a great job of defining and explaining their gambling laws and some FAQs can be found on their Gaming Control website. Sports enthusiasts have many teams to follow in the state of Indiana as the Hoosier State offers a few professional sports teams and double-digit Division-1 NCAA programs. 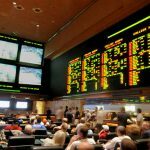 With online sportsbooks, you don’t have to wager just on Indiana sports teams as these sites offer betting lines on teams and leagues all over the world. However, with the strong influence of sports in the state, we don’t blame you for wanting to root for (or against) the local teams. Horse racing betting is a popular hobby in Indiana and is better known as pari-mutuel wagering which is actually not considered a form of gambling. The state authorizes this form of wagering and has two tracks: Hoosier Park located in Anderson and Indiana Grand located in Shelbyville. Both of these tracks offer simulcast racing, have food options, and provide entertainment on the casino floor. Although the racing months are short lived due to weather, this doesn’t have to stop you from betting on horses as the online operators we provided are also racebooks. On these sites, you can wager on horses all over the world in just about any race like you would with sporting events. Daily Fantasy Sports (DFS) in legal and regulated within the state of Indiana. In 2016, legislators approved Indiana Senate Bill 339 which allowed for operators like DraftKings and FanDuel to continue their contests in the state. 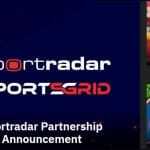 DFS allows you to set a lineup of athletes under a certain salary cap and compete against other players all around the world. These operators offer free contests and paid contests costing as little as few pennies and as much a few thousand dollars for entry. DFS has become a very popular hobby in the country as both DraftKings and FanDuel advertise promotions for new members and for referring a new member as well. Can I Bet Real Money On Sports In Indiana? Funding your online account is very easy as you bet real money on sports in Indiana. The operators accept many different forms of payment such as cryptocurrency, credit card transactions, and more. The can even return your winnings in more ways like a check by courier or a wire transfer. Be sure to stick with a licensed sportsbook so you don’t have any trouble when withdrawing from their site. Is Online Sports Betting Safe In Indiana? Safety is the number one priority when it comes to legitimate offshore sportsbooks and the ones we listed above in the guide are known for their security. They encrypt their data which makes betting online safe and allows your personal information and account balance to incur no problems. They also provide customer service at 24/7 to help you with any need should you encounter a problem. 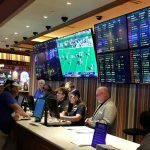 Will Sports Betting In Indiana Ever Be Legal? It is likely that sports betting in Indiana will become legal as discussions have begun to bring the industry home. Indiana is a pro-gambling state and has the infrastructure and regulatory bodies in place to allow for a strong sports gambling market. Also, with the Midwest starting to realize the tax benefits of making it legal and doing so, it will provide an extra push from legislators to move forward so the state is not missing out on valuable tax revenue. Will I Get Arrested For Sports Betting In Indiana? While we are not lawyers and cannot say with any full guarantee, it is not likely you will ever be arrested if you follow the protocol we presented. Use an offshore sportsbook that is licensed by their home country and you should never encounter a problem. If you decide to use an underground bookmaker within the state of Indiana, you can pretty much assure that you will find trouble one way or another either with the law or with the bookie themselves. What Is the Sports Betting Age In Indiana? Indiana requires an age of 18 for betting on horses and charitable gaming but sets an age of 21 for casino-style gaming like sports betting. The online operators will accept players who are 18 years old; however, we highly recommend waiting until you are of the age the state law permits (21). Underage gambling is a serious offense and can lead you to fines, confiscation of winnings, and banishment from the online site forever. Are There Mobile Sports Betting Apps Available In Indiana? All of the sportsbooks we recommended have a reliable and user-friendly mobile version. You can access these by going on their mobile page or downloading an app which is just as secure as their webpage. They offer the same amount of betting lines and wagering options you would on their site; moreover, the mobile features even include live in-play betting so you will never miss a second of the action regardless of where you are located. Where Is The Best Place To Bet On Sports In Indiana? This comes down to preference as each sportsbooks site provides different features to the user. Some people like operators that provide many reward programs like 5Dimes.eu while others look for a clean website design like Bovada.lv. SportsBettin.ag and BetOnline.ag offer sports betting trends and statistics to keep you in the loop and knowledgeable about the events you are putting your money on. They are all free to join and provide a safe and reliable platform. Should I Use A Local Bookie In Indiana? Go ahead and use a local bookie and find out how quickly that is a bad idea. Not only are there laws against this but there is no support behind you should something go wrong. You can’t file a police report for theft when a bookie takes off with your money or refuses to pay you because you were engaging in an illegal act. Stick with the trusted websites based offshore that have proven to be trustworthy and have customer service operators ready to answer your questions. Do Any Casinos In Indiana Have Sports Betting? Not yet but the 2019 Indiana Senate Bill is set to authorize sports betting in Indiana casinos. With the infrastructure in place and oversight already implemented, it would be a seamless transition. Also, the casinos are located all over the state and are accessible for many Indiana residents making the riverboat casinos as well as commercial and Indian casinos the first to test the industry. Can I Bet On Sports With My Friends In Indiana? Social gambling is a tricky situation as the state laws allow for gambling with friends but not on the performance of others. It is unlikely any law enforcement officer will book you for social gambling, but we advise to do so behind closed doors. There is no reason to risk a few dollars when you can use an offshore site that is trustworthy, reliable, and more importantly, safe.